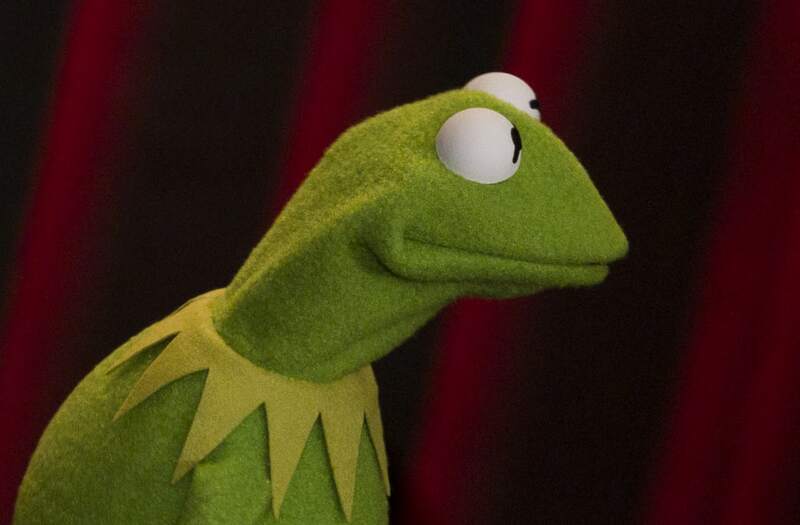 Steve Whitmire, who had voiced Kermit the Frog for 27 years before being unceremoniously fired by Disney, says he was let go because he spoke up about changes being made to the character he felt were against what creator Jim Henson would've wanted. The Muppets Studio claims it was about how Whitmire conducted himself in the workplace. In a Monday interview with The Hollywood Reporter, Whitmire explained that he was let go by Disney last October. He was given two reasons: Unwanted notes during the short-lived Muppets reboot on ABC and a union disagreement. News of his termination has since come to light after months of being told he was going to be "honored for his contributions" to the Muppets and the hope of working out issues with Disney brass. "The first issue was that they felt I had been 'disrespectful' in being outspoken on character issues with the small group of top creative people during the ABC series," said Whitmire, who had been working with the Muppets since 1978. "I have been outspoken about what's best for the Muppets since the Muppets came to Disney , but the fact is I have respect for everyone who was involved in the creation of that series for their own particular contributions. At the same time, I also have insight into their limitations with respect to how well they know the Muppets." Disney and The Muppets Studio have a differing interpretation of the terms of Whitmire's departure, stating that the voice actor exhibited "unacceptable business conduct." A source close to the studio told THR that Whitmire's communication style was "overly hostile and unproductive" and his way of negotiation delayed some productions. "The role of Kermit the Frog is an iconic one that is beloved by fans and we take our responsibility to protect the integrity of that character very seriously," a spokesperson for The Muppets Studio told THR in a statement. "We raised concerns about Steve's repeated unacceptable business conduct over a period of many years and he consistently failed to address the feedback. The decision to part ways was a difficult one which was made in consultation with the Henson family and has their full support." Whitmire, who was asked to take over Kermit by Henson's family after the creator's untimely death in 1990, said that an instance of note was over a script for the new ABC series, canceled last year, in which Kermit lied to his nephew, Robin, about his breakup with Miss Piggy. "I don't think Kermit would lie to him," Whitmire explained. "I think that is Robin came to Kermit he would say 'things happen, people go their separate ways, but that doesn't mean we don't care about you.' Kermit is too compassionate to lie to him to spare his feelings." He continued, "We have been doing these characters for a long, long time and we know them better than anybody. I thought I was aiding to keep it on track and I think a big reason why the show was canceled (after one season last fall) was because that didn't happen. I am not saying my notes would have saved it, but I think had they listened more to all of the performers, it would have made a really big difference." "The second issue was framed as 'refusing to work on a particular project' some 15 months earlier," Whitmire explained. "I happened to get caught in the middle of a dispute on a contract classification between SAG-AFTRA and Disney Labor Relations which occurred while I was in-flight to work on the project and the associated commercial. I did in fact shoot the commercial, but was unable to shoot the material for the project in order to comply with my obligations to the guild. Ironically in that situation, my rep had negotiated a special deal with the guild so that we could do the work within the budget parameters for the project." Whitmire says he is still baffled by the entire situation. "I am still trying to make sense of how those two issues were egregious enough to justify ending a 39-year career without at least giving me an ultimatum at the time the issue occurred when I would have had a chance to correct my course," he said. Matt Vogel will take over as Kermit the Frog. His first time as the character will be in a "Muppets Thought of the Week" video this week. "I'm actually responsible for Matt having become a part of the Disney Muppets," Whitmire said. "The performers are my brothers, my family of choice. That includes Matt, and the hardest part of this is knowing we probably will never work together again. He's very talented with the Muppets he is already performing and he was chosen by Jerry Nelson prior to his death to carry Jerry's characters forward." His range of emotions since being let go have run the gamut, Whitmire told THR. "The hardest part is that I genuinely like both of the executives who chose this action and that makes this all the more disappointing," he said. "My sadness is over knowing how important it is for the success of the Muppets to have the characters remain consistent and seeing the value of that ignored." Whitmire, who was among those at the hospital when Henson died, says he plans to move onto new projects. Still, there was a magic to Kermit he will never forget, he said. "The look he brings into the eyes of anyone of any age who meets him in person," Whitmire said of his love for the character. "I can't take credit for that, but have been truly honored to keep Jim's spirit intact."